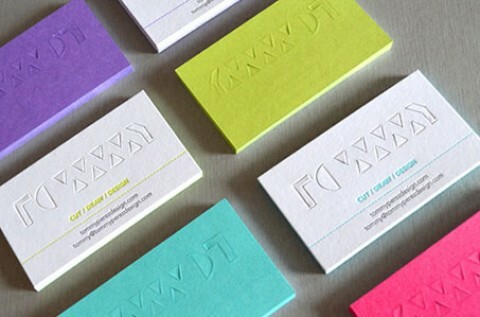 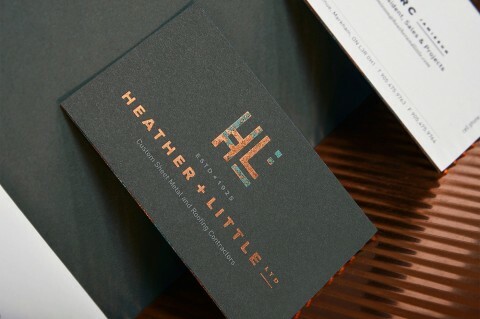 Just when I thought I’d seen every conceivable variation for that beloved 3.5” x 2” real estate known as the business card, Bex Brands comes along with a clever twist that anyone selling just about anything could (and should) use. 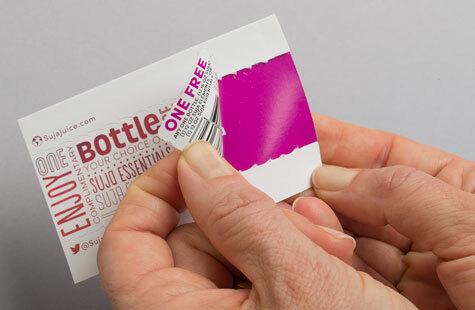 A zip tab incorporated into the back of the card reveals a mini coupon for a free bottle of the client’s product ­– Suja juice. 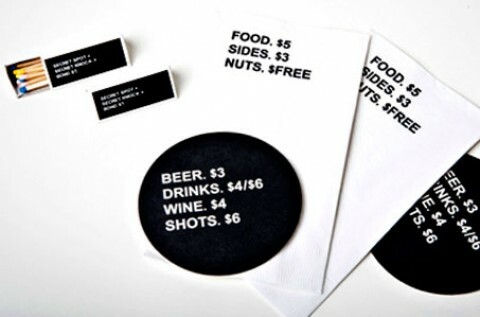 Clever and thoughtful to say the least. 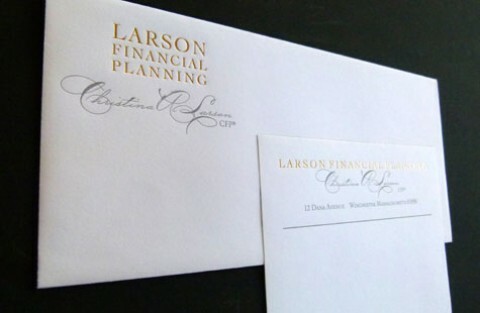 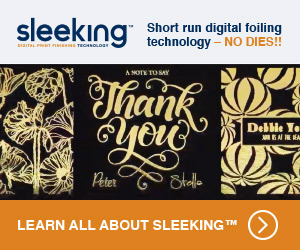 You present your card, and the recipient gets a little treat that will surely endear you and make your company more memorable. 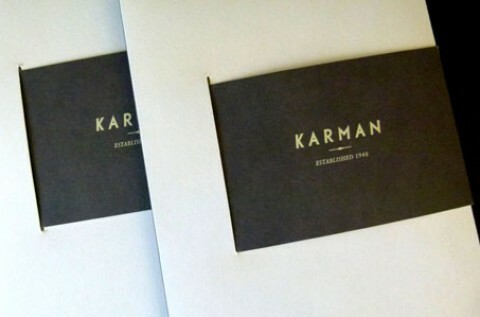 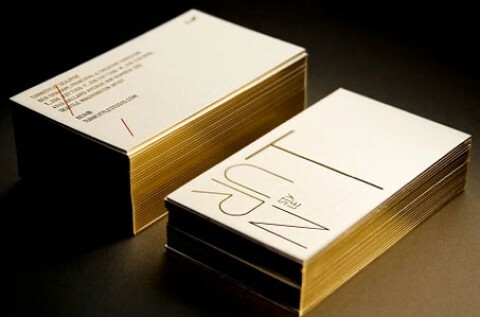 The business card base remains intact to be used as any conventional card would. 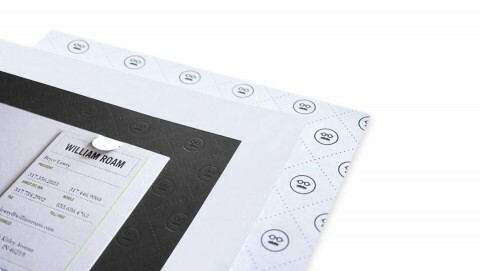 The Endeavour Gloss Cover (Recycled) is a great choice for this client and supports the ink, coating and finishing processes (diecutting and gluing) required to create this piece. 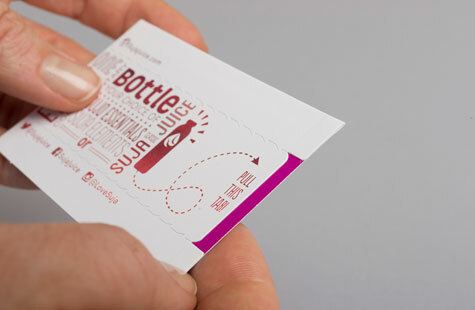 Soft Touch aqueous had a watery feel – a nice tactile reminder that the product is liquid. 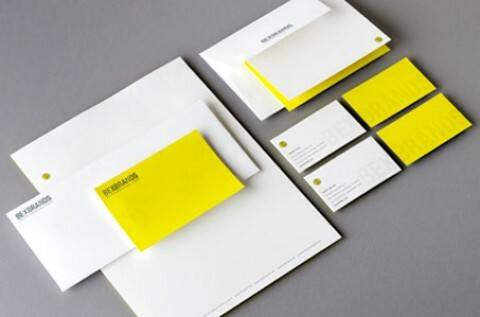 The wide band that’s revealed after the coupon is removed adds a welcome splash of bright color. 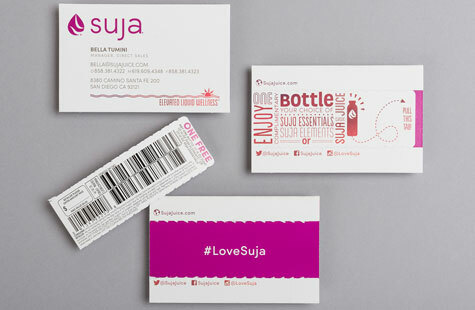 The designers added a “Love Suja” hashtag in this area too – a subliminal suggestion and waste-not-want-not touch to be appreciated.